Welcome, Here you can browse through our JDM Parts for the 96-98 Honda Civic Ek4 and Ek9 Interior and Exterior products. Please note these parts are removed from right hand drive vehicles. Feel free to give us a call or send us a email for more info. Used Civic Ek9 Type R Red Stitched Shifter Boot. Actual item pictured. 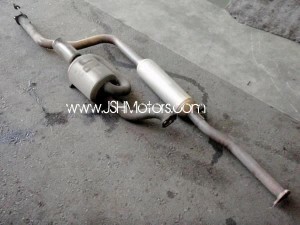 Used Cusco Civic Rear Strut Tower Bar. Actual item pictured. Used Cusco Front Strut Tower Bar. Actual item pictured. | Page loaded in 0.026 seconds.